Senior Matt Drohan competed in some off events including the 100-yd back stroke on Friday against Oxford. 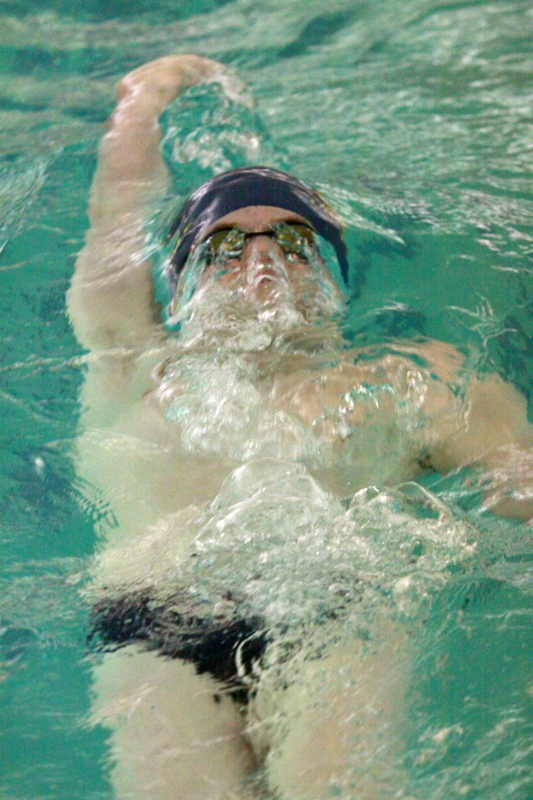 LOWER OXFORD — The Indians girls swim team continued their unblemished season as they emerged from the water at Lincoln University with a 100-70 win to improve to 4-0, while the boys pushed their season tally to 3-1 with a 93-68 victory over Oxford in a Ches-Mont League meet. Check back with UnionvilleTimes.com for complete story and photos.